It is quite clear that some administrators and politicians do not want to publically talk about Concurrent Enrollment (CE), which is a program where students get both high school and college credit for their high school courses. In some ways, as more information comes out, CE has become like the alcoholic uncle that everyone in the family knows about but no one wants to admit knowing. Fond du Lac Tribal and Community College (FDLTCC) is the subject of this article simply because it was possible to obtain their data for concurrent enrollment. There may be more egregious examples but the data is not as readily available. The numbers after the name of the high school are the distances from FDLTCC and the high school according to Google Maps. The schools with mileages in black are certainly within easy driving distance and could afford a faculty member from FDLTCC to visit the high school or the students in the high school to visit FDLTCC. 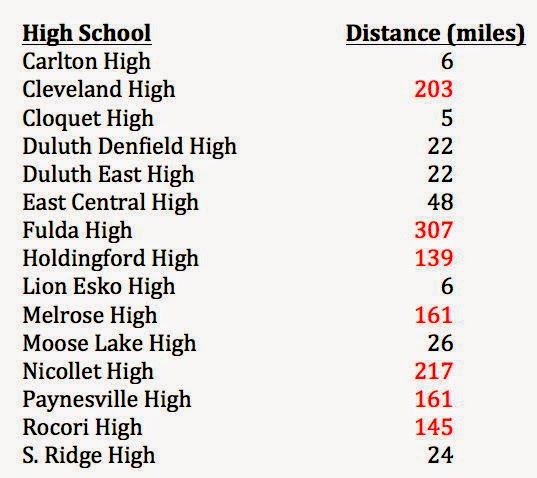 The numbers in red are all the schools that are 145 miles or farther away from FDLTCC. I would really like to understand how someone could mentor a high school teacher that is more than a 290 mile round trip away from the school’s campus. At these kinds of distances, the high school students will never have the opportunity to visit the college’s campus. Certainly, the ‘times they are a changing’ and with technology we might expect some help in this regard. However, there are at least 26 MnSCU colleges and universities (out of 31) that are closer to Fulda High School than FDLTCC. In fact, if you were to drive from Fulda to Cloquet, you would drive right past Southwest State University’s campus in Marshall, which is only 47 miles away from Fulda High School instead of 307 miles. So, the choice of FDLTCC as a partner with Fulda is certainly something that might need to be explained. Additionally, Rocori High School in Cold Spring, which is also partnered with FDLTCC, is only 18.1 miles away from St. Cloud State University instead of 145 miles. When you look at the enrollment numbers it becomes even more bizarre! MnSCU lists the headcount enrollment of FDLTCC as 2,423 in FY2015. Out of that enrollment, 1,395 are students receiving college credit for their high school classes as part of CE or who are taking advantage of Post Secondary Education Opportunities (PSEO) by taking classes directly at the FDLTCC campus. As a result, the data clearly shows that 55.3% of the headcount enrollment at FDLTCC is due to high school students. At FDLTCC in FY14, the CE program generated 414 FYE and the PSEO program generated 39 FYE. As a result, the breakdown between CE and PSEO typically shows that the vast majority of students are in the CE program. Most of the CE students also never set foot on the FDLTCC campus, especially when you consider nearly half of the high schools are more than 145 miles away! It’s difficult to believe than anyone actually predicted this kind of outcome when the Minnesota Legislature passed the legislation back in 1995. It’s also harder to believe that anyone thinks that this trend is academically responsible. GREG GUTFELD: I think what Julie is trying to say is that dictators might be cruel but the Islamic religious extremists that replace them are apocalyptic so once we found out what came in there, it made everything look different. I disagree but I think that’s what you’re trying to say. JULIE ROGINSKY: Well, sort of. GREG GUTFELD: Isn’t the underlying driver of Obama’s foreign policy was to shrink our footprint, that we were too big and we were failing and he wanted to turn a Cadillac into a Moped? SEN. RUBIO: So the underlying argument he has for the Middle East is that this is a grievance-based problem. But these groups in there, whether they’re Iran or a radical jihadist, have grievances against us and if we just stop doing the things that make them aggrieved, things will be better. That’s not the truth. The truth is that these are not grievance-based problems we have with them. These are ideological-based problems and it’s a pretty simple ideology. They want everyone to worship like they do or die. And they view us in the short term as a threat to their regional ambitions but in the long term, once they’re done conquering the region, they intend to come for Europe and, ultimately, the United States. They’ve made that very clear. When they say that, we should believe them. In that brief exchange, Sen. Rubio showed a better grasp of reality than our current commander-in-chief and his Secretary of State. With the Middle East being in tatters, this election will be more about national security than most elections. In a head-to-head matchup with Hillary, Sen. Rubio would likely mop the floor with her behind. Add into that the possibility of electing the first Hispanic president and Hillary’s troubles. If that’s the matchup, Hillary will have a steep hill to climb. Most importantly, Schultz never once mentioned the most basic budget facts: State spending on autopilot is scheduled to grow 21 percent over four years, from $34 billion to $41 billion, without spending a dime of the surplus or raising any new taxes. And Democrats have proposed a budget that spends almost the entire surplus — and raises taxes, for an $8 billion, 24 percent increase in spending over four years, from $34 billion to well over $42 billion. The DFL automatically calculates inflation into their budgets. That’s because, in their way of thinking, that every penny ever appropriated needs to be spent forevermore. It presumes that that money is being spent efficiently and that there isn’t a better way of providing the same service less expensively. That’s assuming that each agency’s and department’s staffing must increase. The DFL wouldn’t think of eliminating the Met Council or the MnSCU Central Office. In the DFL’s mind, they’re pictures of efficiency and importance. In reality, they’re neither. They’re portraits of inefficiency, cronyism and corruption. When MNsure was created, the legislature created an oversight committee. It met a couple times, then went silent for months while MNsure imploded. The committee didn’t meet again until after April Todd-Malmlov resigned after taking a 2-week vacation to Costa Rica while MNsure imploded. The DFL doesn’t believe in oversight. They never have because they don’t think money is ever misspent. Either that or the DFL legislators that think there’s a need for change get bullied by the DFL machine into giving up their reform ideas. That’s what happened with Gene Pelowski. 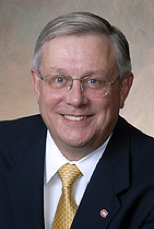 Everyone knows Rep. Pelowski hates MnSCU. He initially talked a great reform/accountability game while he chaired the House Higher Ed Committee. That changed when it came time to put a budget together. Suddenly, Chairman Pelowski, the reformer, turned a blind eye towards MnSCU. He didn’t even know that Dr. Rosenstone had signed a contract extension that raised his pay by almost $50,000 a year. If Minnesotans want to continue getting fleeced, all they have to do is keep voting for budget by autopilot. As a bonus, they’ll get a legislature that doesn’t believe in oversight or accountability. We are calling on the Minnesota Legislature to pass a comprehensive transportation funding solution in 2015 that requires additional transparency and efficiency for current resources. Be comprehensive to address, roads, bridges, transit, and bike and pedestrian infrastructure. Equitably balance the transportation needs of Greater Minnesota and the Twin Cities metro area. Be a long-term, sustainable funding solution that is gimmick-free and dedicated only to fixing transportation. Local roads account for 38 percent of transportation funding. For every dollar dedicated to Minnesota’s highway trust fund, 38 cents is directed to the statewide network of county, city and township roads. That means every new dollar we invest in transportation repairs our local roads too. Semitrailerfreight traffic is going to multiply on our highways in the next 10 years. Over the next 10 years, freight being moved on Minnesota’s roads is projected to increase by 30 percent. That means more traffic, more wear and tear on our roads. More than 300 Minnesotans lose their lives on our roads every year. Whether you drive, bike or walk, Minnesota’s roadways still remain a dangerous place. Unfortunately, some of the most simple fixes like median barriers and rumble strips are left unfunded. The task force concluded that without new, sustainable and dedicated funding, our roads and bridges will continue to crumble at an alarming rate; our statewide transit systems will be unable to meet growing demands; and our economy will ultimately suffer from our inability to efficiently move goods, services and people to their next destination. Move MN clearly isn’t interested in telling the whole truth. The House Republican plan includes a new way of funding road and bridge repairs. The House GOP plan includes a Transportation Stability Fund, which is funded by dedicating the sales tax already paid by auto parts sales, rental cars and leased vehicles. Leased vehicles and rental cars produce wear and tear on highways, roads and bridges. Why shouldn’t those sales taxes be dedicated to fixing roads and bridges? Because of decades of delays and inconsistent funding, the poor quality of our roads has caught up to us. We were told then that that tax increase would fix things. Except that it didn’t. Eight years later, the DFL is telling us that another tax increase, this time twice as big as the 2008 tax increase was, is needed. You’ll forgive me if I think the DFL is lying through their teeth again. WASHINGTON — An examination of the server that housed the personal email account that Hillary Rodham Clinton used exclusively when she was secretary of state showed that there are no copies of any emails she sent during her time in office, her lawyer told a congressional committee on Friday. After her representatives determined which emails were government-related and which were private, a setting on the account was changed to retain only emails sent in the previous 60 days, her lawyer, David Kendall, said. He said the setting was altered after she gave the records to the government. “Thus, there are no hdr22@clintonemail.com emails from Secretary Clinton’s tenure as secretary of state on the server for any review, even if such review were appropriate or legally authorized,” Mr. Kendall said in a letter to the House select committee investigating the 2012 attacks in Benghazi, Libya. Those statements have more gaping holes in them than a brick of Swiss cheese. First, it’s clever to say that there aren’t any “copies of any emails she sent during her time in office.” Parsing Clinton 101 immediately requires the reader/listener to question modifying words like copies. The next question I’d ask is whether there’s a registry on the Clintons’ private server listing emails Hillary sent in her official capacity as Secretary of State. The next question I’d ask is whether there were any original emails still stored on the Clintons’ private server. The third question I’d ask is what the Clintons’ definition of work-related emails is. Next, I’d want investigators to determine if there are any emails on the Clintons’ private server from other email addresses other than hdr22@clintonemail.com. I’d ask because we know other high-ranking staff had private @clintonemail.com email addresses. It’s important to remember that Kendall didn’t say that there weren’t any emails sent or received by Huma Abedin or Sheryl Mills. That’s before stating the obvious. Despite IRS Commissioner John Koskinen repeatedly saying under oath in previous hearings that Lerner’s emails could not be recovered, Camus and investigators have been successful in recovering nearly 33,000 emails relevant to the IRS investigation. “To date we have found 32,774 unique e-mails that were backed up from Lois Lerner’s e-mail box. We are in the process of comparing these e-mails to what the IRS has already produced to Congress to determine if we did in fact recover any new emails. We are also in the process of having the e-mail server hard drives analyzed if there are any readable e-mails that can be recovered from these hard drives. And finally, we are continuing to determine if there are any other sources that may contain Lois Lerner’s e-mails,” Camus said during testimony. The other lesson people should know in parsing the Clintons is this fundamental rule: the Clintons will always do the right thing…when that’s their only option left. Trusting the Clintons isn’t advised. Trusting a Clinton protector is downright foolish. That’s why I’d tell Chairman Gowdy to depose Hillary before I’d have her testify. I’d want to question Hillary at length privately before she testifies in public just to paint Hillary into a corner with her own testimony. The lengthier the time I get to question her, the more likely it is she’ll trip herself up. WALLACE: George, where do you think Cruz fits in the Republican presidential field? And what do you think are his realistic chances to win the nomination? GEORGE WILL, SYNDICATED COLUMNIST: We’ve seen this movie before, Chris. In 1964, Republicans nominated Barry Goldwater, partly on the theory called conservatives in the woodwork, that there were enormous number of conserves who only offered candidate who ignored what Cruz calls the mushy middle, they’d come out of the woodwork and form a national majority. Well, Goldwater’s 27 million voters, of whom I was one, suffice to carry six states. The question for Mr. Cruz and for anyone seeking the Republican nomination is this, given that 18 states and the District of Columbia with 242 electoral votes voted Democratic in six consecutive elections and if the Democratic nominee holds that base, he or she will spend the fall looking for 28 electoral votes and will find them. Given that, they have to ask the question, what red, what blue state are you going to flip specifically? Can Ted Cruz campaign effectively in one of those 18 states? Pennsylvania, how is he going to do piling up big majorities to carry the state in the suburban counties, Bucks, Montgomery, around Philadelphia? I’m skeptical. First, let’s stipulate that every Republican faces the same obstacle as Sen. Cruz. Next, let’s stipulate that some are better equipped to flipping some of the states that Will is referring to. Third, let’s stipulate that Will has said the same thing about every other Republican potential presidential candidate with one exception. That exception is Chris Christie. That’s the extent, though, that I’m willing to concede. There are 538 electoral votes, which is why the winning candidate needs 270 electoral votes to win. Starting with 242 electoral votes means that 296 electoral votes are still up for grabs or solidly in GOP-controlled states. First, let’s look at solidly red states. 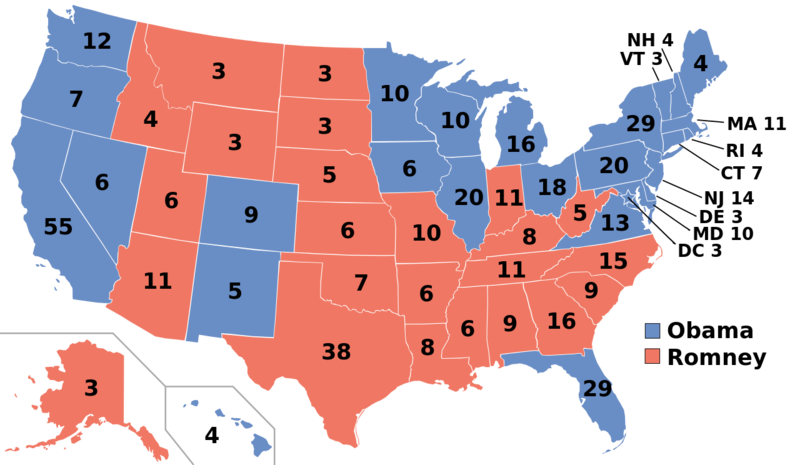 The GOP candidate starts with a base of 200 electoral votes. Next, let’s look at purple states like Ohio, Virginia, Florida, Colorado, New Mexico, Iowa and Nevada. Florida has 29 EVs, followed by Ohio with 18 EVs, Virginia with 13 EVs, Colorado with 9, Nevada and Iowa with 6 apiece, New Mexico with 5 and New Hampshire with 4 EVs. If Sen. Rubio is on the ticket, either as the nominee or running mate, that definitely flips Florida’s 29 EVs and likely puts Nevada and Colorado in the GOP column. Just putting those states in the GOP column gives the GOP ticket 244 EVs. If Scott Walker is the GOP nominee and Rubio is his running mate, that likely puts Iowa and Wisconsin in the GOP column. That puts the GOP ticket at 260 EVs. That means Hillary has to win Ohio, New Hampshire and Virginia. At that point, if Republicans win either Virginia or Ohio, they’d retake the White House. Is it mathematically challenging? Yes, for both parties. That’s before factoring in the quality of campaigns the two sides run and events that are beyond the candidates’ control. If Republicans run a youthful, energetic, ideas-driven ticket, they won’t have to say a thing about Hillary looking fatigued. It’ll be that obvious. Further, if the Middle East continues being a disaster and Russia continues its expansionist ways, Hillary will have lots of problems because she’s joined at the hip with President Obama as the co-architects of that foreign policy. If Mr. Will wants to continuously be a pessimist about the GOP ticket for 2016, that’s his right under the First Amendment that he writes so eloquently about. It just doesn’t mean he’s right. He should know that campaigns and events matter. Right now, Hillary is a terrible candidate and events both domestically and especially internationally favor Republicans. Rabbi Shlomo Riskin, Chief Rabbi of Efrat on Saturday night compared US President Barack Obama to Haman and Prime Minister Benjamin Netanyahu to Mordechai. Speaking at the Jerusalem Great Synagogue, the American born Riskin said that he could not understand what was going through Obama’s mind. As the word left the king’s mouth, they covered Haman’s face. 9 Now Harbonah, one of the eunuchs, said to the king, “Look! The gallows, fifty cubits high, which Haman made for Mordecai, who spoke good on the king’s behalf, is standing at the house of Haman.” Then the king said, “Hang him on it!” 10 So they hanged Haman on the gallows that he had prepared for Mordecai. Then the king’s wrath subsided. The only reason I’ve included this information to show how hated Haman was with the Jewish people. When Rabbi Riskin calls President Obama a modern day Haman, it’s to show his wrath with President Obama. Without a doubt, SCSU’s President Earl H. Potter is racking up the airline miles! Motion: “The FA EC objects to Pres. Potter leaving campus for a 3-week trip to India, Kazakhstan, and Italy at a time of extreme financial crisis.” Passed unanimously. Tuesday evening, FA President Jarvis informed President Potter of the EC’s motion hoping that he would reconsider his decision to be out of the country at a time when the university is dealing with a major financial crisis. “When we met last week, we did not discuss your objections to my travel. Since the vote was unanimous, I am assuming that you both voted with the motion. I am sad that this is the way things work. I am traveling at the request of faculty who requested my support for their work after years of laying groundwork. My travel is essential to maintain the momentum of these programs. As I have noted elsewhere, we cannot cut our way out of this condition. We must continue to grow. This work is essential to support this objective. For those who live under a rock, St. Cloud State University is in trouble. A 21.8% decline in enrollment since FY10 and a poor decision to enter into a long-term lease with the Wedum Foundation for an off-campus apartment complex, which has lost the university a total of $7,700,000 in the first five years of operation, have left the university with a Composite Financial Index (CFI) for FY14 of 0.07. Given the projected $9,542,000 deficit for FY15 and the commitment of over $5,000,0000 from the reserves to offset the deficit, the CFI will likely go negative for FY15. All of this has led to a hastily conceived process to evaluate programs and make recommendations for cuts, which will include retrenchment of faculty. The timeline for this process could only be described as extremely short! In addition to a trip to China earlier trip in the semester, President Potter will have been out of the country for at least four of the fifteen weeks of the semester (we don’t know the President’s travel plans during the last few weeks of the semester so it could be more than four weeks). At SCSU, international travel is not limited to President Potter. In fact, international travel by administrators at SCSU is pretty commonplace. In fact, it is hard to find a Dean or Assistant who has not travelled internationally, at university expense, within the past two years. Even ‘Interim’ Deans have travelled internationally. And these trips are not limited to just Deans. For example, Chief Information Officer Henry May recently travelled to South Africa. For many faculty at SCSU, given the current financial crisis, the idea that international travel would be suspended had a lot of merit. Even if it would not result in substantial savings, it would certainly send an important message. Unfortunately, no such luck! For many on campus, there is an informal hunt for an administrator who has not travelled internationally on “university business.” Apparently, this is a very exclusive club. At the same time, there is also a search for administrators who have travelled the two miles to St. Cloud Technical and Community College, which is one of the larger feeder schools for SCSU, to recruit students. Surprisingly, perhaps because it does not require a passport or involve getting onto an airplane, this appears to be an even more exclusive club. Finally and fortunately, Minnesotans have enough details from legislators and Gov. Mark Dayton to weigh in on what they want for transportation funding statewide in the next 10 years. House Republicans this week put forth their proposal, which spends $7 billion through tapping the state surplus, borrowing, increased efficiencies and spending general-fund money now used in other state programs. It’s unclear which programs would be cut, but it amounts to $3 billion in 10 years. The plan does not raise taxes. It also does much less for public transit than Dayton’s plan. I can’t dispute the fact that the Republicans’ plan doesn’t do much for “public transit.” I can’t deny it because it’s designed not to do much for “public transit.” The GOP plan tells the Met Council that it’s responsible for metro transit. That’s only fair because light rail isn’t a big thing in outstate Minnesota. If the Twin Cities wants light rail, let the Twin Cities fund that. New revenues (also known as taxes and user fees) are more forthright and stable than funding shifts (aka cutting other programs.) Higher taxes and fees, which admittedly nobody likes, clearly identify who will pay them. Shifting $3 billion from unidentified state programs not only creates unintended consequences for residents with no stake in transportation, but future legislators could easily trump these choices, further delaying much-needed improvements. Contrary to Rep. Thissen’s spin, there aren’t any funding shifts in the Republicans’ transportation plan. The Republicans’ plan proposes dedicating the sales tax on auto parts, car rentals and car leases for fixing roads and bridges. Those existing taxes would be part of the Transportation Stability Fund. In the latest KSTP-SurveyUSA poll, 75% of Minnesotans said that they didn’t want a tax increase to be part of the transportation plan. Republicans shouldn’t cave on this. If the DFL wants to fight an election over this, I’d just tell the DFL that we’re willing to fight that fight anytime anywhere. Compromise isn’t necessarily a virtue. Doing what the vast majority of people want is a virtue. Translation: The Saudis told Centcom that it was taking military action against the Iran-supported Houthi rebels moments before launching airstrikes against Houthi rebels. The other noteworthy tidbit of information is that Centcom can’t evaluate what the likelihood of the Saudi airstrikes is because it wasn’t briefed by the Saudis. Nations collaborating with each other might not know everything that the other nation is planning on doing but they’d have a pretty good idea what assets are being deployed and where. They’d know what their ally’s goals were, too. Clearly, that isn’t happening here. During his interview with Chris Wallace, al-Jubeir emphatically stated that they’re willing to deploy ground troops if they determine that’s what’s needed to destroy ISIS. When I heard that, I wished that our commander-in-chief had that type of spine. Unfortunately, we’re stuck with President Obama. What’s especially sad is that President Obama’s world view is totally upside down. America’s traditional allies are President Obama’s enemies. Countries that’ve traditionally been America’s enemies are this administration’s friends. The saddest part is that it’ll take the Republican’s next term in office just to clean up this administration’s foreign policy disasters. I’ve said this before but I’ll repeat it here. I never thought I’d see the day when another president’s foreign policy ‘accomplishments’ paled in comparison to Jimmy Carter’s lackluster list of accomplishments. Unfortunately, I’ve lived to see that day. Then again, I didn’t think I’d live to see the day when Israel, Egypt, Saudi Arabia and Jordan would form a de facto alliance to counterbalance the US-Iranian alliance.